Is something like this possible with VIM (using Solarized Dark)? If yes, with which package/config commands? I guess I found a solution. But it feel kinda hacky. Perhaps someone got a better solution? Not the answer you're looking for? 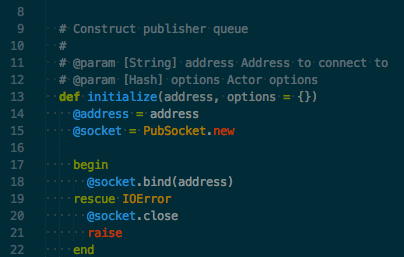 Browse other questions tagged vim tabs whitespace indentation space or ask your own question.